The world of coffee, baristas, roasters and coffee shops continues to grow and with it so does the language used to describe every aspect of the culture. If you’re sick of feeling linguistically lost in your local coffee shop then this infographic from Lauren Hickok is just the thing for you. It covers all the different kinds of brew that are popular at the moment, some of the different techniques used for brewing and also some of the crazy ways the size of your caffeine hit is described. 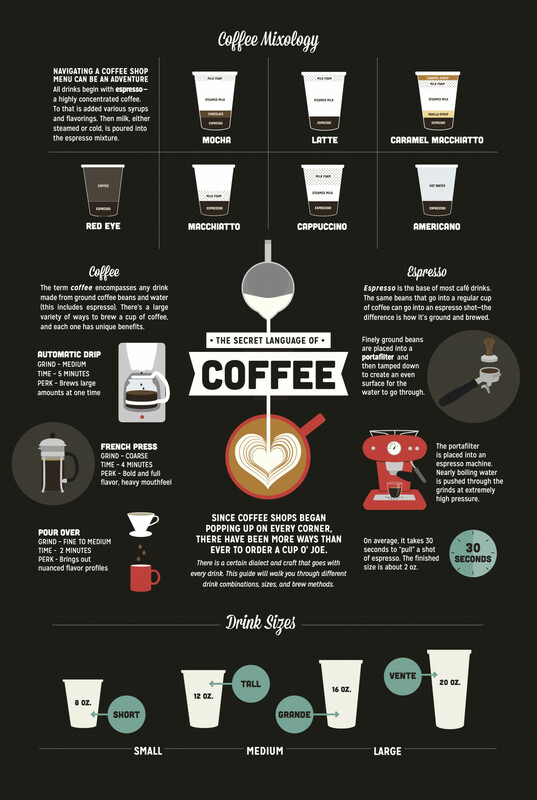 Take a look and get to grips with everything coffee in one simple infographic.